Michael is our lead pastor. Along with preaching, Michael oversees the ministries of small groups, men, and missions. Michael also gives leadership to the elder team. Michael says his mission in life is to glorify God through the ministry of preaching, leading and shepherding people. Michael has been married to Stacy since May 25, 1990. They have three children – daughters Sam and Alex and a son Mac. Michael claims two hometowns: Saltillo, Mississippi where his mother lives and Atlanta, Texas where his father lives. Michael and his family moved from Pittsburg, Texas, to Ames in May of 2009. 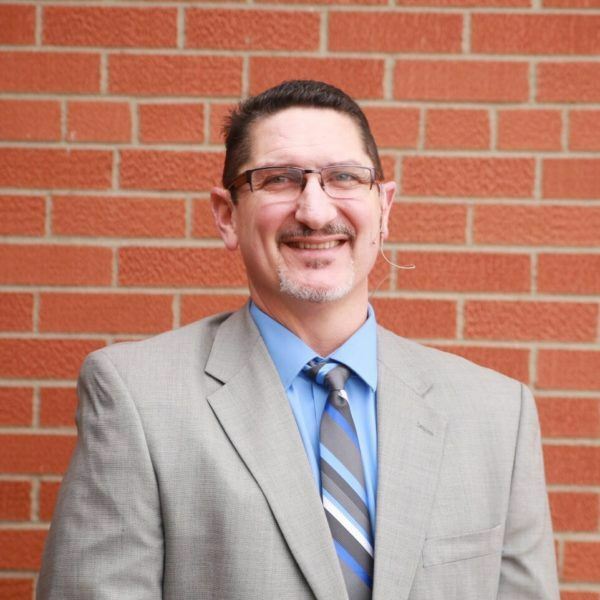 Michael has an Associate Degree in Mid-Management from Texarkana College; a Bachelors in Religious Education from Howard Payne University in Brownwood, Texas with a minor in Business. He also has a Master of Arts in Family Ministry from Hardin-Simmons University with a specialization in counseling. He has also done further educational work at The Southern Baptist Theological Seminary and through The Christian Counseling and Education Foundation. Michael’s hobbies include: hunting, fishing, playing golf, and hanging out with his family.